The results of New York’s primaries came in largely as expected, except for one thing: accusations of voter suppression. Between broken voting machines, missing ballots, and purged voter registrations, many took to Twitter to voice their complaints. Many voters used “#VoterSuppression” to voice their frustration with the process and results. The issues raised by New York voters were very similar to ones faced by voters in Arizona, where both Hillary Clinton and Senator Bernie Sanders are reportedly going to sue over the state’s “history” of voting rights problems. In the primary there last month, there were hours-long waits and mishandled ballots. New York State Attorney General Eric Schneiderman’s office reported receiving 562 complaints by phone from 6:00 am to 3:50 pm, and 140 complaints by email, a spokesperson told The Democrat and Chronicle. “This is by far the largest volume of complaints we have received for an election since Attorney General Schneiderman took office in 2011,” spokesman Nick Benson said. 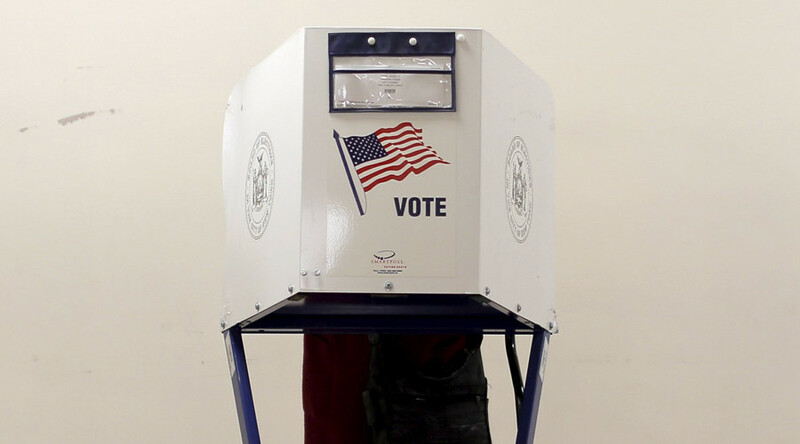 Independent voters were frustrated with New York’s closed primary elections, which prevented them from casting a ballot in either the Democratic or Republican primaries. Election Justice USA filed a lawsuit on Monday calling for New York to switch to an open system allowing anyone to vote in the primaries, regardless of their party affiliation. However, a federal judge denied a request for a temporary restraining order that could have opened the primaries to all voters, thus excluding 3.2 million New York voters, according to ThinkProgress. “I was assured my vote will be counted so all I can do is hope there’s something to that promise,” he added. "We're gonna win New York! We're gonna win New York! We can't lose! Revolution!" New York should make it easier to vote. Closed party primaries are not "voter suppression." Lord have mercy. White people in New York City alleging voter suppression. Is this real life?